GANDHINAGAR, Gujarat, India, February 19, 2014 (ENS) – The government of Gujarat, a state on India’s northwest coast, has decided to create a special 690-man force to secure its key non-major ports against terrorist oil spills. The move, announced February 12, is based on the Gujarat government’s fear that terrorist groups could deliberately spill oil into state waters to create hazards for ships and ports. Gujarat’s ports are located on the Arabian Sea, and Pakistan borders the state to the north. 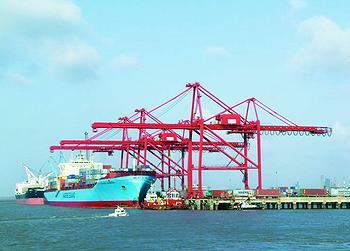 Gujarat’s maritime sector is considered to be one of India’s most developed economic sectors. 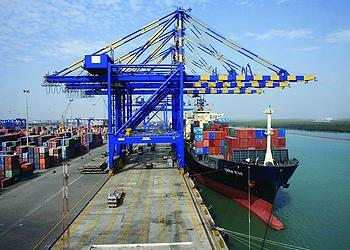 Its major port, Kandla Port on the Gulf of Kutch, is India’s largest port by volume of cargo handled. But non-major ports in Gujarat are both important and vulnerable. During the year 2012-13, the non-major ports handled some 288 million metric tonnes of cargo, according to the Gujarat Maritime Board. To secure ports and coastal areas, the state government already has established 22 marine police stations with a force of 500 people, who will complement the proposed force. The new port protection personnel, who will be called marine commandos, will be divided into six battalions. SK Nanda, additional chief secretary of the state’s Home Department, said that special training would be provided to the proposed force. It will be based in India’s oil city of Jamnagar, where Reliance Industries, India’s largest private company, has established the world’s largest oil refinery. “The headquarters of the proposed marine security force would be in Jamnagar. The force will function under the Home Department, but its expenditure would be borne by Gujarat Maritime Board, which operates the non-major ports,” said the official. “We have also initiated steps to create higher awareness in coastal areas for early detection and prevention of untoward incidents,” he said. On the national level, a parliamentary panel has recommended to India’s Ministry of Home Affairs to address the concerns of coastal states by procuring equipment to combat such a terrorist situation, the “Times of India” newspaper reports today. The Gujarat coast is sensitive due to its close proximity to a very “vulnerable part” of International Maritime Border Line, the panel said. “The committee recommends that under Coastal Security Scheme (Phase-II), all the infrastructural and logistical gaps in the coastal security apparatus of the state should be filled in view of its vulnerability due to hostile atmosphere in the coastal area of Gujarat,” said the report, tabled in the Lok Sabha on Wednesday. “The committee feels that if the Ministry of Shipping is not the relevant agency, then the agency concerned – be it the Ministry of Home Affairs or any other agency – should provide necessary inputs to the state government. MHA [Ministry of Home Affairs] may look into this matter,” it said. The Gujarat government is asking for greater understanding and more assets from the central government to protect Gujarati ports from terrorists. The state government says that considering the diverse nature of the coast, the protective strategy needs to be customized. The Gujarat Home Department has cleared the proposal to recruit personnel for the special force to strengthen security at Mundra, one of India’s largest ports; Alang, the ship-breaking hub; and other non-major ports in the state. The other ports that will be guarded by the special force are Magdalla, Navlakhi, Okha, Bedi, Jakhau, Bhavnagar, Porbandar and Mandvi.